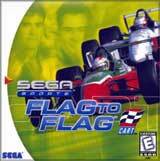 Flag to Flag Cart Racing for Sega Dreamcast first-ever CART simulation brings the world's fastest closed-circuit auto racing to Sega Dreamcast. 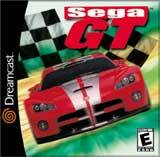 Fully licensed by CART and designed with the help of CART's champion Team Rahal, Sega has created the most accurate and realistic racing game yet for console gaming. 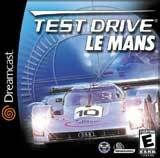 Hold on tight as you race through 19 real-life tracks and confront a variety of weather and road conditions. Details such as debris hitting your windshield will make you forget about that static chair you're sitting in. For 1-4 Players.